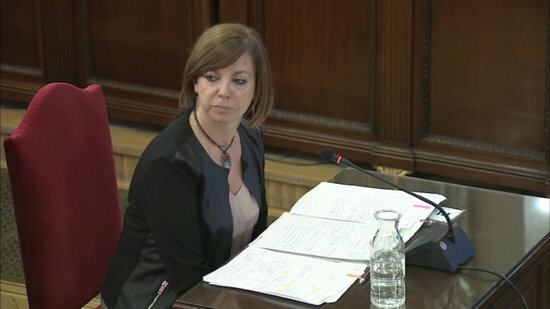 The first phase of the Catalan independence trial is over, after 12 politicians and activists charged for calling a referendum and declaring independence in 2017 gave their testimony. Spain’s public prosecutor has requested prison sentences for them of up to 25 years. The proposed joint prison sentences add up to a total of 177 years. The trial started on February 12 in Spain’s Supreme Court, and is set to last around three months. Here are some of the highlights from the defendants’ testimonies. 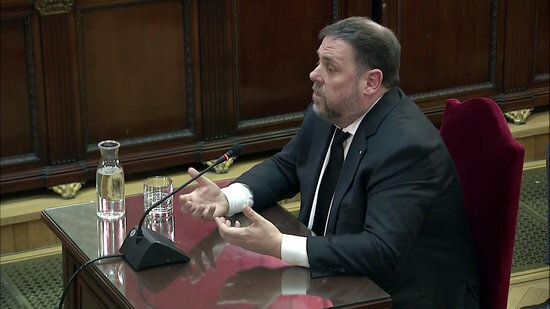 "I see myself as a political prisoner"
Oriol Junqueras, the former vice president of Catalonia and leader of the pro-independence Esquerra party, is the most senior politician on trial. He’s been in pre-trial jail since November 2, 2017, shortly after being suspended by the Spanish government following a declaration of independence. In the trial, he refused to respond to questions from prosecutors and only answered defense lawyers. "I’m convinced that I’m being accused for my ideas and not for my actions," he said. "I’m a political prisoner." Rebellion is the most serious accusation against Catalan leaders, with violence being a prerequisite for such crime. 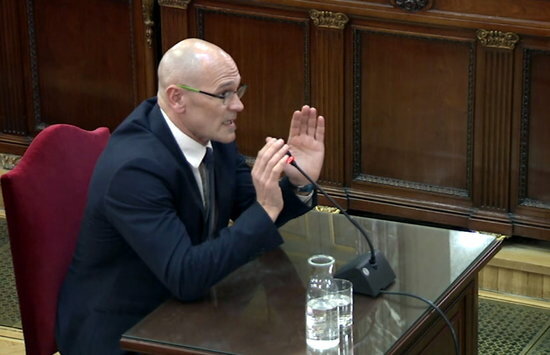 As the politician in charge of Catalonia’s own police force, the Mossos d’Esquadra, the testimony of former interior minister Joaquim Forn was crucial. He told prosecutors that “nothing” of what the Catalan police did during the independence bid was against the Spanish constitution, as he instructed them to follow court orders. Raül Romeva, the foreign affairs minister at the time of the referendum, argued that self-determination is not prohibited by any international treaty, “not even the Spanish Constitution.” When seeking independence, he stressed that "defending the non-violent way is not only a matter of ideology, but a matter of pragmatism." Former Catalan government spokesperson Jordi Turull denied accusations that politicians were behind the independence bid, stressing instead that they were trying to find a “political solution" to a movement that was “bottom-up." He said the government tried for referendum until the last minute. 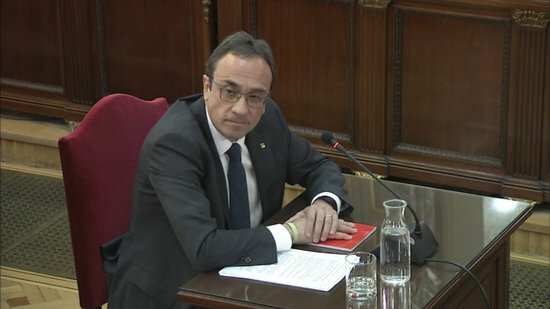 Josep Rull, the former territory minister of Catalonia, accused Spain’s Constitutional Court of "lacking moral authority," after "having been systematically utilized by the Spanish government to suspend all initiatives by the Catalan parliament." 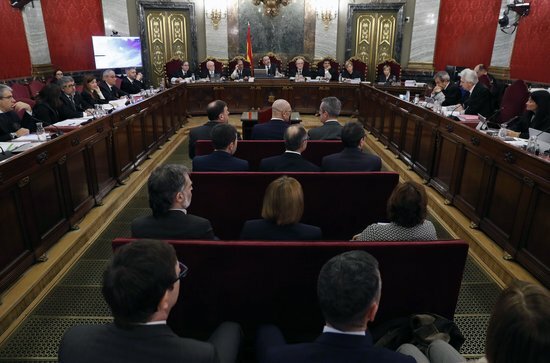 The Constitutional Court famously rejected some articles of Catalonia’s new statute of autonomy in 2010, in what many see as the beginning of the independence push. When calling the referendum, he said, the government "always aimed for the right balance between the rule of law and the democratic principle,” as referendum laws were suspended by the Constitutional Court. 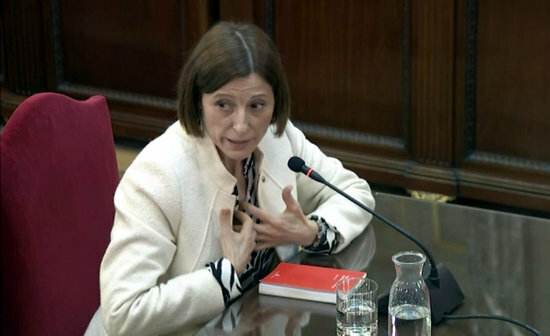 “Declaration of independence held no legal consequences"
“Referendum not funded with public money"
"I saw the referendum as a political protest"
Former Catalan business minister Santi Vila down-played the political consequences of the independence referendum, claiming it was "a political protest" but “not a referendum." Vila stepped down before the Catalan government decided to go ahead with the declaration of independence. 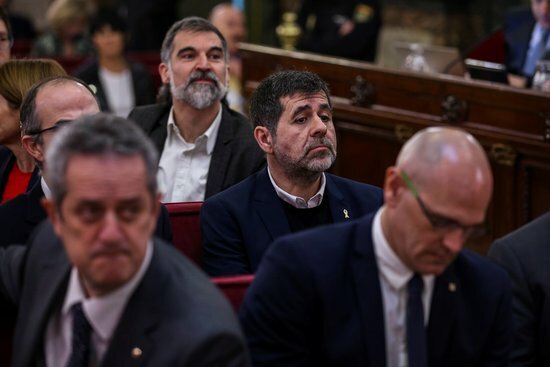 “Right to protest should not be limited if it doesn’t contravene other rights"
Pro-independence activist Jordi Sànchez said that he sees the independence case as a “political trial," and that he is being tried because he was the president of the Catalan National Assembly grassroots group during the referendum. In pre-trial jail since October 16, 2017, he declared himself to be a political prisoner and defended himself against accusations that protests in the run-up to the referendum were violent. “Civil disobedience is a tool for societies to move forward"
“Censorship can’t be allowed in parliament"